Why This Costume: This was a commission request from a friend of a friend. I’m still learning how to fit for guys, so it seemed like a good opportunity to practice those skills along with learning some new ones. 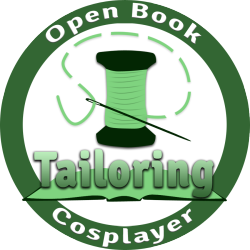 How I made it: When I started this commission, I didn’t intend to do a blog post on it, but I had such a hard time finding ANY information on this costume. Hopefully this will help other Lexx fans. 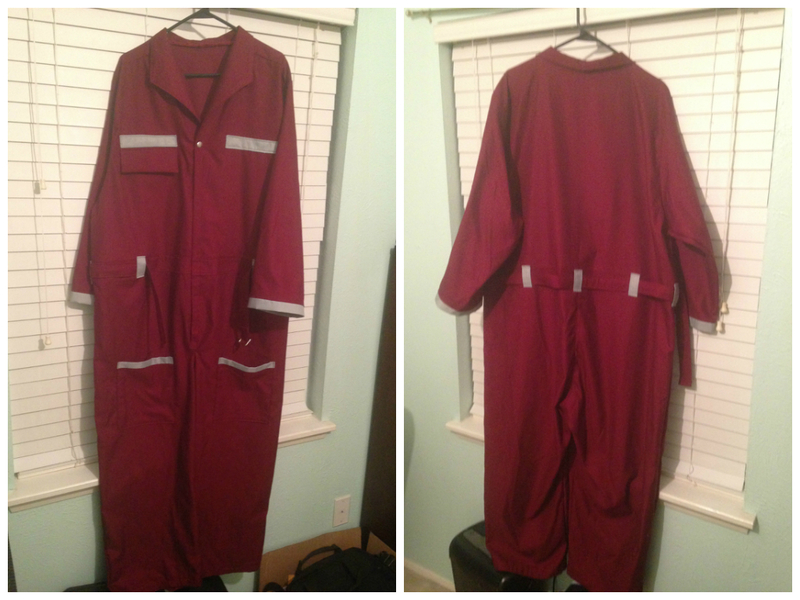 Front and back of the coveralls. 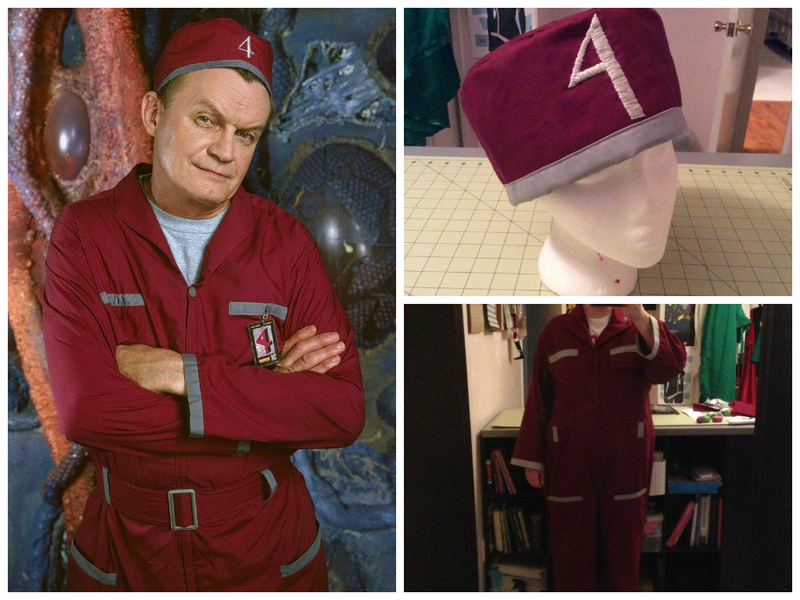 This costume has 2 main components to it: the hat and the coveralls (with a belt). 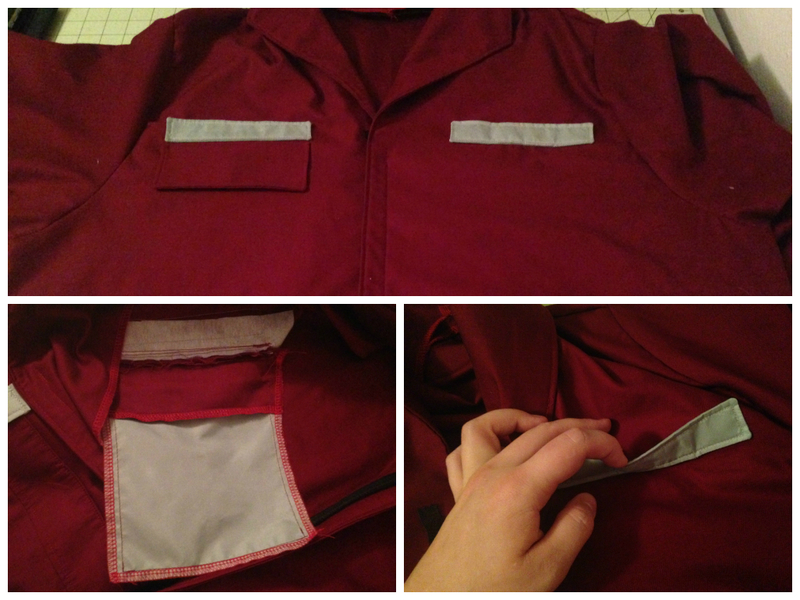 I made the coveralls out of a twill duponi using Kwik Sew 3389 as a base. I did have to make a couple of alterations. The main alteration was to draft a shawl collar to replace the double lapel. To create a plain back, I folded over the back pattern pieces and combined them with yoke. Once my pieces were all combined, I traced over them to create a new back piece. 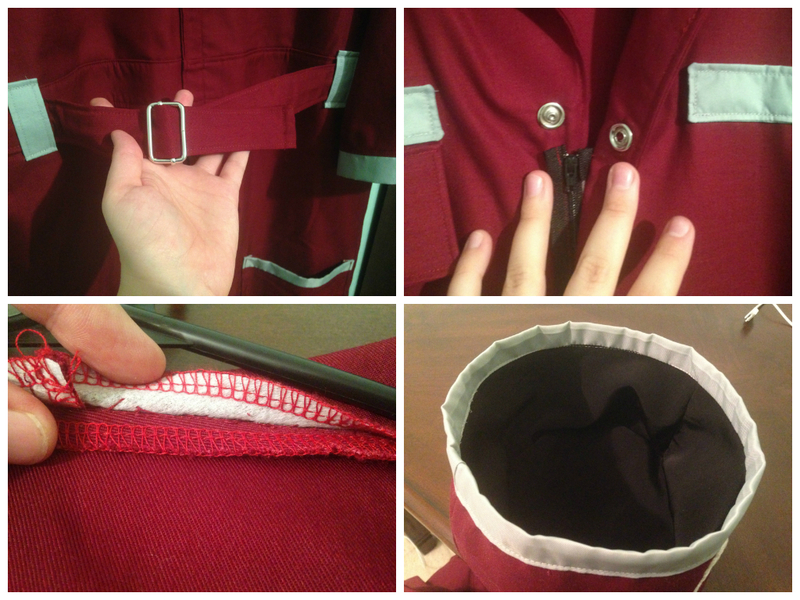 I took the same approach to eliminate the slash pockets on the pants. One thing to note about this pattern: apparently Kwik Sew seems to think that dudes have the shoulders of line backers *with* shoulder pads. Since my commissioner was located in another city, I used my boyfriend as a quasi-dressform. In the end, I took 3 full inches off of the shoulders. Close up of the pocket details. The silver strip on the right breast is unstitched at the top to allow my commissioner a space to attach his ID badge. The pockets were an interesting challenge. To make the left breast pocket accurate, I drafted a flap pocket. It’s quite a bit of work, but the result is very snazzy. I’m definitely incorporating this into my jacket project. The pockets on the legs are just top-stitched rectangles with silver ripstop nylon on the the top edges. Audiobook + hand embroidery = best road trip I’ve had in ages. I came up with the hat pattern using this tutorial, but I only used interfacing to stiffen the outer pieces. 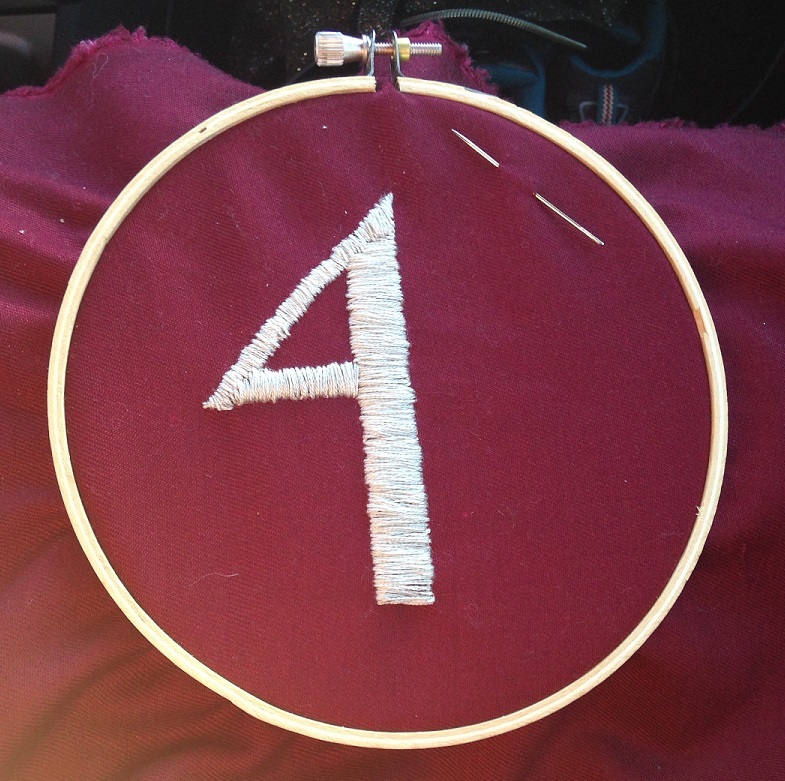 The 4 on the front is my first attempt at embroidery. Craftsy has a great video class on basic embroidery techniques. Hand embroidery very time consuming (the 4 took me about 3 hours, including a failed first attempt), so fortunately it was a nice way to pass time on recent Thanksgiving road trip. Still, the experience definitely convinced me to invest in an embroidery machine to make Lulu’s “lace” applique (among other things). I don’t think I have the patience to do all that nonsense by hand. I also lined the hat and trimmed it in ripstop nylon. A few miscellaneous details. TL: I made the belt by doubling the waistband piece and adding a few inches. TR: The snap was something I hadn’t done before. This tutorial was quite helpful. BL: I slip stitched the collar since there’s not a facing for this pattern. BR: Hat lining. Thoughts on this costume: Overall, I’m pretty pleased with this costume. This wasn’t an overly difficult project, but it was a good chance to practice some skills. Are any of you Lexx fans? Who’s your favorite character?